The Tulip Chair was designed by Eero Saarinen in 1956. 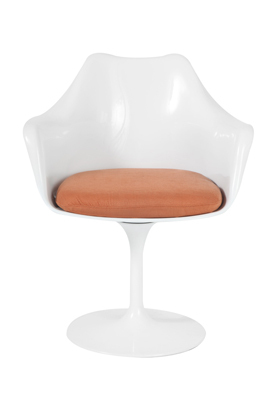 The Tulip Chair is made of an aluminum base with a fiberglass shell and an orange fabric cushion. The cushion is also available in white.